Marc Jacobs is too kind for this fashionista. I'm so not the type carrying only the necessities in my handbag. My purse is filled with all sorts of crap, convinced that I can't leave home without my notebooks (for any matter a different one), two pairs of sunglasses (in case my red one doesn't match my outfit), my camera (you never know what pops up), my sunscreen (Baz Luhrman taught me well), one sudoku puzzle book (the nerd in me is a bit addicted),... and so on without mentioning make-up, organizer, wallet and phone. Anyways, Mr Marc Jacobs is now giving my handbag the opportunity to lose some weight. 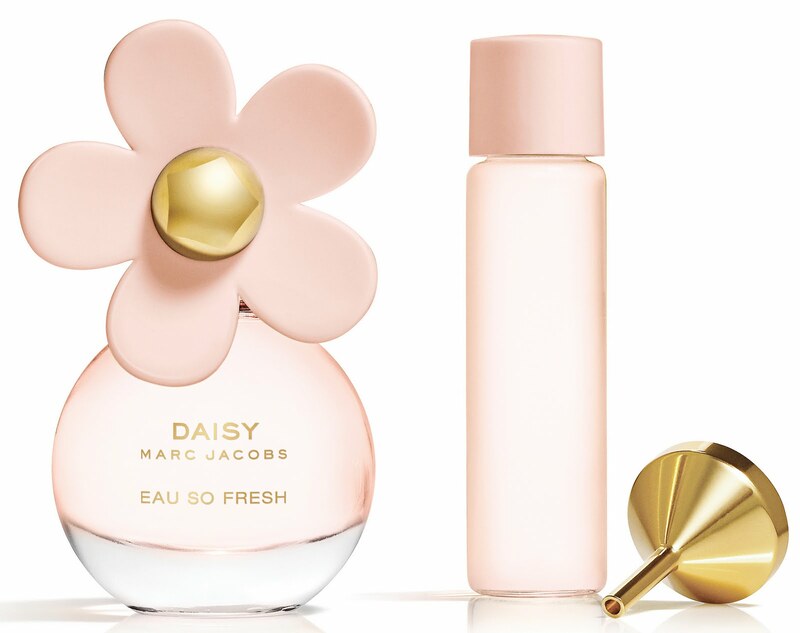 Mid May the handy Daisy Eau So Fresh Purse Spray will be launched. Hooray!